Home » Blog » Rotterdam, daar moet je naartoe! 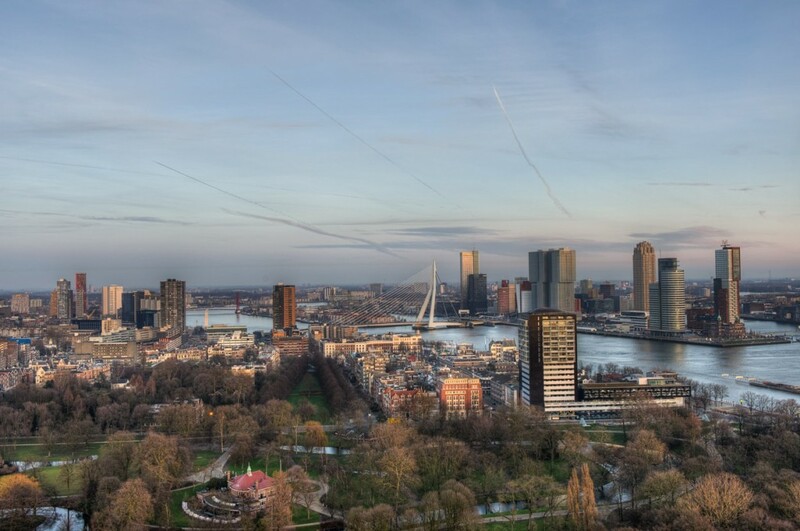 Rotterdam, daar moet je naartoe! First-class architecture in the Netherlands’ second city. Post-World War II reconstruction has changed the face of one of Europe’s largest ports, where striking, cubed architecture gives shape to the most modern skyline in the country. But it’s not done yet. This is a banner year for ribbon cuttings to celebrate both new and reconfigured space: An overhaul of Rotterdam Centraal train station (scheduled for completion in March) has already unveiled a new shop-lined pedestrian passageway and the city’s first Starbucks. The renovated Kunsthal museum reopens in February. François Geurds, chef of the two-Michelin-starred restaurant FG, opens another restaurant this month. Come October, the massive arch of the Markthal, whose interior displays 3-D food photographs, becomes the country’s first indoor food hall. Need a launching pad? Check into a brand-new gem: the Rem Koolhaas-designed nhow hotel. Dat van de eerste Starbucks is niet helemaal waar, want de Erasmus Universiteit was eerder, maar dat kleine foutje vergeven we die Amerikanen. 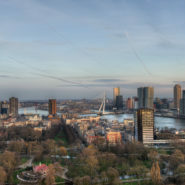 Het is tenslotte al heel wat dat ze Rotterdam hebben weten te onderscheiden van Amsterdam. En zelfs van Nederland.